Originally formed in 2015 as a recording project, Nick Bold and The Raging Sea really started hitting its stride live after the arrival of powerhouse drummer Carl Mallison last year. The band has now become a blues rock'n'roll tour de force second to none. With highly respected bassist Mike Collinge completing this incredible rythm section as a foundation for my guitar extravaganzas, it proves to be a thrill a minute show every night for the audience. Much to the delight of our rapidly growing fanbase we play a mixture of killer originals and well chosen covers, usually with a twist thrown in for good measure! Mike was born to play bass. People would often stare at the neck of a baby fender sticking out of his pram. A world tour followed as his parents wanted to cash in on their talented infant. 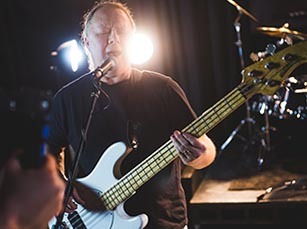 Prog rock, blues, country, funk&soul are all styles of music that Mike has played in his career, but he's a bass player so it all sounds the same to him. Mike has produced many albums in his own studio at home. His wife has now put a padlock on the door. Carl first came into contact with drums at the age of 7 when his head teacher decided to get him drum lessons. Anything to get him off the tuba. He was shocking at the tuba. 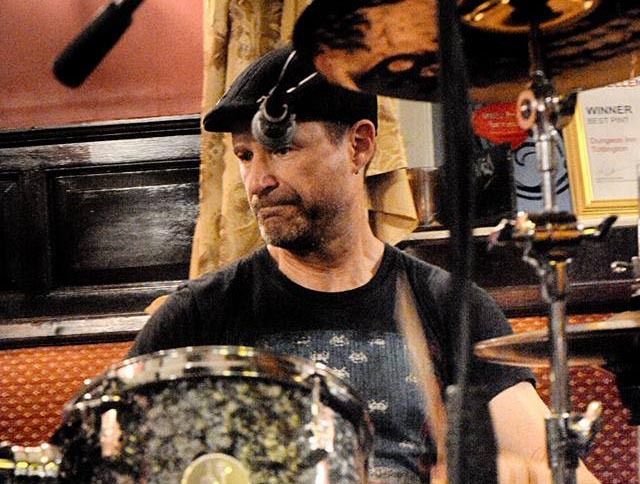 Carl stuck to drumming and drew inspiration from music documentaries like ' The Muppet Show'. He is still playing but hopes that Nick will let him get his tuba out on stage one night.